M/A-COM Technology Solutions Holdings Inc. (“MACOM”), a leading supplier of high-performance analog RF, microwave, millimeterwave and photonic semiconductor products, today announced a new portfolio of high-performance cable TV (CATV) amplifiers designed for compliance with the DOCSIS 3.1 standard for high-bandwidth data transfer over existing hybrid fiber-coaxial (HFC) infrastructure. Covering both upstream and downstream bands and complementing MACOM’s recently introduced portfolio of DOCSIS 3.1 compliant passives, these new amplifiers are ideally suited for head-end, node, system, and line access equipment requiring broader bandwidth, high output power and low distortion. These new active components are available in integrated multi-stage and single-stage configurations, allowing system designers the flexibility to achieve desired performance. MACOM’s offerings span a range of compact, industry-standard packaging options supporting thermal management attributes that ensure high reliability. 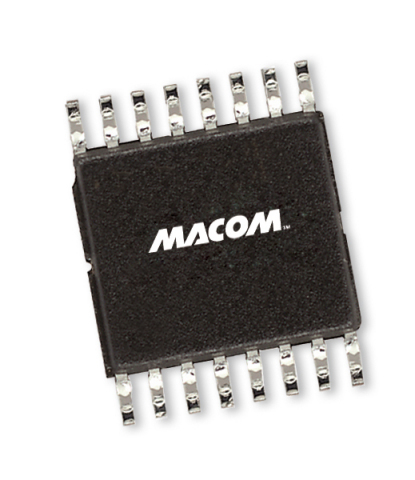 MACOM’s new upstream single-ended, push-pull and variable gain amplifiers support frequency splits up to 300 MHz, offering excellent linearity, modulation error ratio (MER), low noise figure and high gain. The new downstream, single-ended, push-pull and variable gain amplifiers, cover the extended 45 to 1225 MHz with a range of gain and output power levels while delivering high linearity, output power and small signal performance. MACOM’s new DOCSIS 3.1 compliant amplifiers are available to customers today. Click here for datasheets and additional product information. M/A-COM Technology Solutions Holdings, Inc. (www.macom.com) is a leading supplier of high-performance analog RF, microwave, millimeterwave and photonic semiconductor products that enable next-generation internet and modern battlefield applications. Recognized for its broad catalog portfolio of technologies and products, MACOM serves diverse markets, including high speed optical, satellite, radar, wired & wireless networks, automotive, industrial, medical, and mobile devices. A pillar of the semiconductor industry, we thrive on more than 60 years of solving our customers’ most complex problems, serving as a true partner for applications ranging from RF to Light. Any express or implied statements in MACOM product announcements are not meant as warranties or warrantable specifications of any kind. The only warranty MACOM may offer with respect to any product sale is one contained in a written purchase agreement between MACOM and the purchaser concerning such sale and signed by a duly authorized MACOM employee, or, to the extent MACOM’s purchase order acknowledgment so indicates, the limited warranty contained in MACOM’s standard Terms and Conditions for Quotation or Sale, a copy of which may be found at: www.macom.com/support.